by Bob's Cruises and Tours - 1 person likes this. We all love a good cruise, but who can stand getting those itemized bills at the end, full of nickel-and-dime surcharges and fees that almost come out to what you paid in the first place. I think I’ve actually paid $25 for a misplaced towel. Pretty awful. It’s time to fight back. Here’s how you avoid those surprises and keep your money where it belongs - with you. Alcoholic beverages are not included in your cruise fare. So if a $10 highball doesn’t appeal to you, BYOB. Most cruise lines allow one bottle of wine per person. Bring it to dinner and pay a small corkage fee. Consider getting a drink voucher. Compare prices first - how much per drink vs. drink pass, and decide accordingly. The Captain’s Party and the Welcome Back party for return cruisers are exceptions to this, so be sure not to miss out on free cocktails! Sure, it’s convenient that the ship sets up day trips onshore, but with some planning, you can put together your own excursion at a fraction of the cost. Sometimes just exploring is better than being herded around en masse (make sure you get back to the ship on time - they will leave without you!). Check prices ahead of time on the cruise line’s website, or consult one of our expert travel consultants for the best deals. If you can’t go without, wait for special promotions to be announced during port days. If you go during the day tours, you can probably get reduced rate treatments. Ask around! Seriously. You'll pay like $3 a minute. Ship-to-shore can be $10 a minute. Holy mackerel!, right? You might as well just pretend your cell phone doesn’t exist. Also, skip out on the internet package. They can be a few hundred dollars and for what? To check your email? Use the internet cafes instead wherever you dock. Don’t head toward the ship’s casino thinking you’ll win back your cruise fare. Your odds here are worse than in an onshore casino because it’s mostly unregulated. Set aside some money and be okay with losing it. Food is included, but many cruises now offer separate, fancy dinners for $20-$30 a pop. Not worth it! 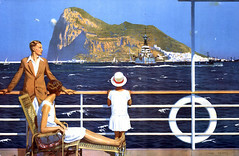 However if you do want to try one out, wait a night or two and chat with other passengers for feedback and comparisons. And take advantage of room service - it’s included FREE of charge. Order up some juice in the morning, or a cheese platter to go with your personal wine bar. The easiest way to save money on your next cruise is by booking with Bob's Cruises. Not only can we take care of all your travel arrangements, but we can plan and book your trip around your budget and and interests. Just contact us for more information.